The Astronomy and Physics classes will be holding their "2017-2018" field trip on March 16-18, 2018. 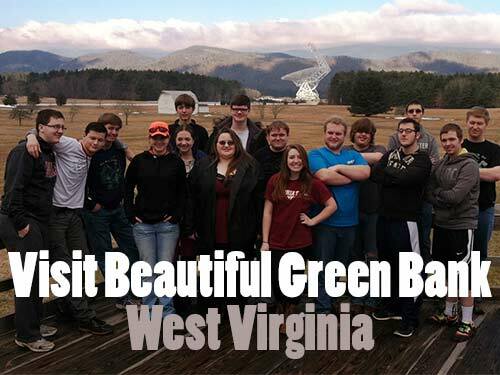 Students will be visiting National Radio Astronomy Observatory in Green Bank, West Virginia. Students will tour the facility and get a close look at how these advanced technology instruments function. 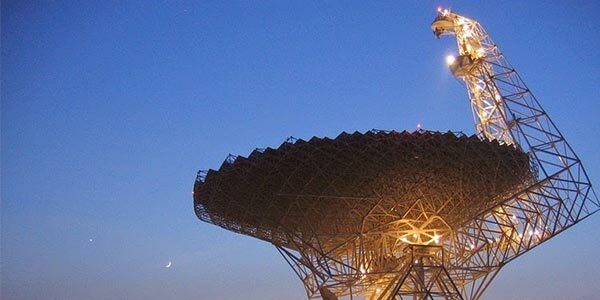 Groups of students will also use the Observatory's 40-foot diameter radio telescope to make radio scans of deep space objects. The field trip will begin with registration on Friday, March 16, 2018 at 9:00 am on the grounds of the Southwest Virginia Higher Education Center in Abingdon, Virginia. Upon arrival at the Higher Education Center Friday morning, students are to report directly to the bus in the parking lot for registration. The field trip will conclude at the Southwest Virginia Higher Education Center on Sunday, March 18, 2018 between 4:00 and 5:00 pm. CLICK HERE for all of the above listed forms as well as a description of trip details in a downloadable "PDF" file format. To allow sufficient time to secure rooms at the hotel, students must have their paperwork to the Governor's School by Wednesday, March 7, 2018 in order to participate in this field trip.